Florals for Spring may not be groundbreaking but the romantic, feminine print is always one of my favorite styles this time of year. I love this ladylike print on everything from dresses, to swimsuits, to shoes. As I am currently trying hard to stay on a budget, like I am sure many of you are, I decided to share a few of my favorite florals in today's #stylishforless. I love those shorts and the jewelry! I love the touch of floral on that dress - so pretty! Beautiful finds! I absolutely love florals. This post made me smile with all the gorgeous florals, love every one of your picks and wish I had these fab pieces in my closet. Love the floral top and the pants! Going to check it out. Thanks! I love all these pieces! They're all super cute. Gotta love florals. 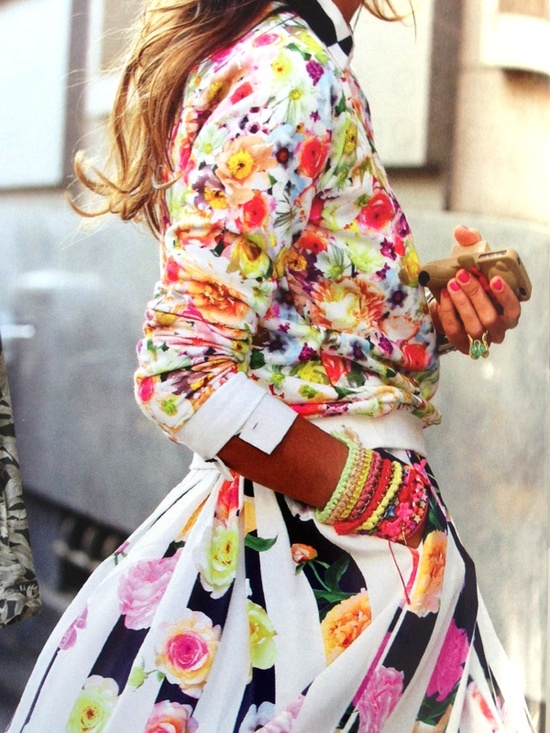 I love floral prints, this is such a pretty post. I love that phone case. I actually need a new one for spring. And that bikini is super cute, perfect for a beach vacation. Those flower earrings and that 'kini are sooo cute!! Love, love, love!! That floral bikini is so adorable!! Obsessed with that Madewell tee! I have to have it!!! How can I say amen to this post a hundred times? I totally agree! Check out my last post and you will see why? so I will say, one again this is a great post!! Loving all of these gorgeous florals! I love the floral pants and dress, SO adorable. And the iphone case and earrings are so fun too. I'm loving foral for spring. love it all! floral me up! Hi Tracy! Those shoes are cute. I would definitely wear that dress, very pretty. I've been looking for dresses since the summer is coming, but I've been having a hard time to find dresses appropriate for work... I'm new to this, because I wear mostly suits(I find them easier to buy). Would you post tips or name of stores that I can shop for dresses? I would appreciate it. Thank you!! !